This is a few of the pictures for last year of our Red Bantams that where shrunk down from lg fowl. Below is our web address for our Grey Call Ducks. Hatching Eggs and Started Chicks For Sale in Rhode Island Reds, White Plymouth Rocks, Buff Brahma Bantams and White Leghorn Bantams. Email me at katz@gulftel.com for your needs. 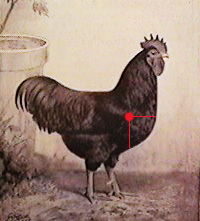 Blosls Poutlry Farm is Promoting Rhode Island Reds Large Fowl and Bantams ,White Plymonth Rocks in large fowl and Bantams . 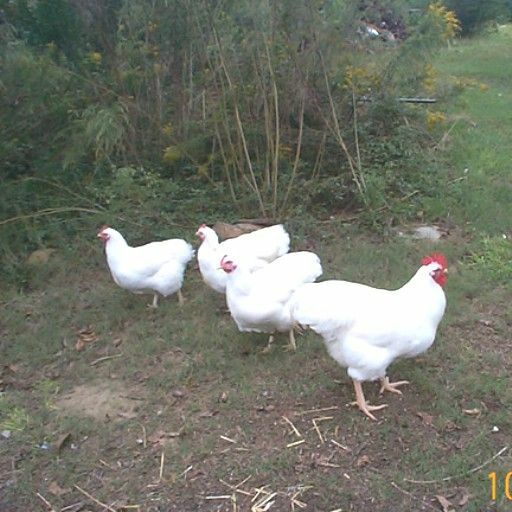 We also are breeders of Buff Brahma Bantams, White Leghorn Bantams . We support the clubs that sponser these breeds and wish to share our knowldege in articles that have been written in the past few years towards success with these breeds. We will share hatching eggs and two week old started chicks to those interested in the breeds. We hope you will enjoy this site and the articles that we are providing also go to our web site at picturetrail.com site to view our birds and buildings. Contact us for Eggs and Started Chicks shiped to your home. We have shiped chicks and eggs for over 25 years with great results and this year we have a new method of shipping hatching eggs and there will be a article on how we do it published soon on our site. 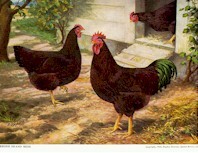 Chicks are shipped out over night express to your home in about 24 hours.